On the release of his book “Flash Boys,” author Michael Lewis was interviewed by Steve Kroft on 60 Minutes and a quote from that interview was both the inspiration and influence for Casino Healthcare. If it wasn’t complicated, it wouldn’t be allowed to happen. The complexity disguises what’s happening. If it’s so complicated that you can’t understand it – then you can’t question it. What Michael was referencing was high-speed trading on Wall Street, but the quote could just as easily be applied to the U.S. healthcare system as well. In fact, it’s tailor-made. 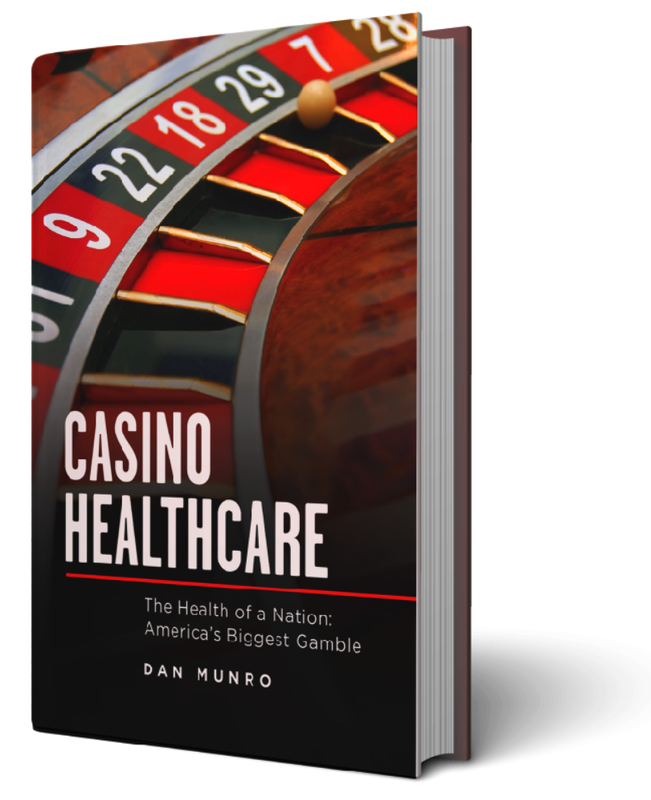 Casino Healthcare isn’t a theoretical policy book for the elite, but one that penetrates the blanket of fog surrounding a major – and growing – household expense. Americans have a right to be angry with how the U.S. healthcare system has been hijacked for revenue and profits. One analyst recently categorized it as “legalized extortion on a national scale.” In the same way that Michael Lewis exposed the complexity of high-speed trading on Wall Street, Casino Healthcare will expose the U.S. healthcare system for what it really is – a giant casino of epic proportions where the risks are clinical, financial, deeply personal and nothing less than the health of an entire nation. "How many businesses do you know that want to cut their revenue in half? That's why the healthcare industry won't reform the healthcare industry." "Of all the forms of inequality, injustice in health is the most shocking and inhuman." "Of all the forms of inequality, injustice in health is the most shocking and inhuman." Martin Luther King, Jr.
"There is no method to the madness. As we went through the years, we had these cockamamie formulas. We multiplied our costs to set our charges." "When it comes to health, your zip code matters more than your genetic code." "For the past decade, all wage increases have been absorbed by rising healthcare costs."